Special Guest Artist - James Walker is performing a new piece written for him and the MacEwan Ensemble by Edmonton composer (and Dean of Fine Arts and Communication) Allan Gilliland. The piece was commissioned by the festival in honour of our 20th anniversary and tonight's performance is a premiere. 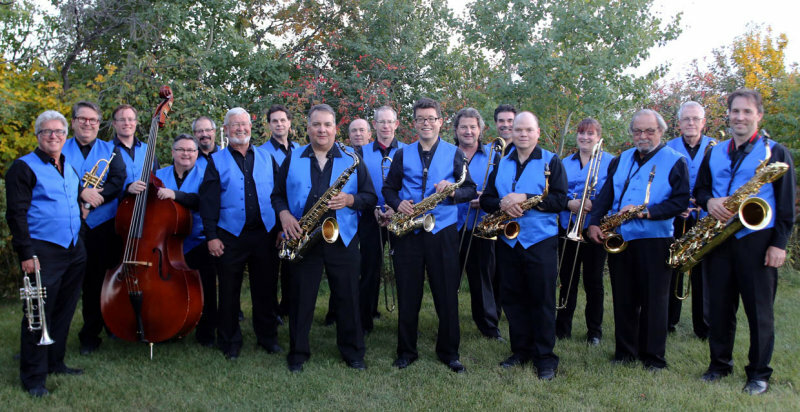 Now in its 21st year, the River City Big Band is one of the premier jazz organizations in Canada. Our members all share a common enthusiasm for big band jazz. We perform music that spans from the classics of the big band era through to the modern repertoire of today. In addition to getting together to play for the sheer exhilaration of making music, we perform in a variety of settings throughout the community including jazz festivals, featured concerts and with guest artists, private functions and school events. The band’s repertoire is extremely diverse, ranging from early Ellington, through Goodman, Shaw, Basie, and Kenton, to the many great arrangers and composers of today such as Gordon Goodwin and Tom Kubis. 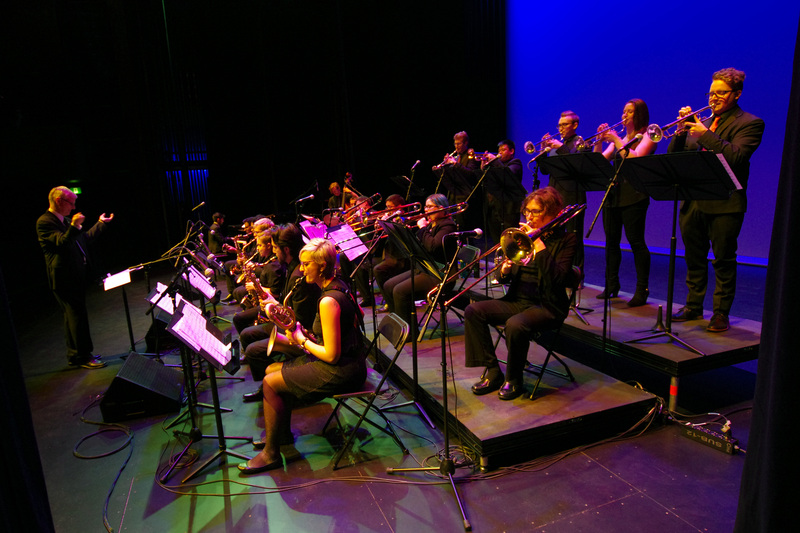 The band also regularly features original compositions and arrangements by Larry Schrum, and Allan Gilliland, Chair of the Music Department and Head of Composition at Grant MacEwan University, who is also a member of the band’s trumpet section. Most of RCBB’s shows program three or four of these great charts, making each concert a unique musical experience. The band has released two CDs: “Just Friends” (2010) and “River” (2012) both of which largely feature the work of Allan and Larry. The Symphonic Wind Ensemble is a group of 50 of the university's most talented wind and percussion musicians, directed by Dr. Angela Schroeder. The Symphonic Wind Ensemble performs the most serious and challenging wind band music available. 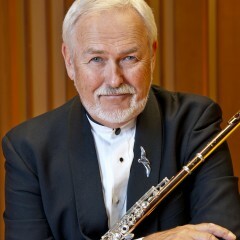 With essentially one player to a part, the repertoire is largely music that was originally conceived for the wind band. Recognized in national festivals and internationally, the Symphonic Wind Ensemble performs four concerts a year and several performances away from the campus and for special events. The ensemble has performed with notable soloists including Dr. Brian Bowman (euphonium), Jeff Nelson (horn), Jens Lindemann (trumpet), Dr. Matthew Coley (percussion), Jeff Campbell (clarinet), Lidia Khaner (oboe), Dr. Allison Balcetis (saxophone), and the Quatour International de Saxophones (saxophone quartet). The ensemble has hosted two Pulitzer Prize winning composers on campus – Michael Colgrass and John Corigliano - and performed the Canadian premiere performance of Corigliano’s Circus Maximus: Symphony No. 3 for large Wind Ensemble, under the supervision of the composer. In 2010, the Symphonic Wind Ensemble performed at the regional conference of the College Band Directors National Association in Reno, NV. Most recently the ensemble were invited performers at the Percy Grainger Wind Band Festival in Chicago, IL, and had the distinction of performing at Orchestra Hall – home of the Chicago Symphony Orchestra – in March 2016. They have participated in numerous composition consortiums, including works by Jonathan Newman and Libby Larsen, and continue to program Canadian premiere performances annually. The Symphonic Wind Ensemble participates in the annual Department of Music Concerto Competition, offering students the opportunity to perform a solo concerto with the ensemble. 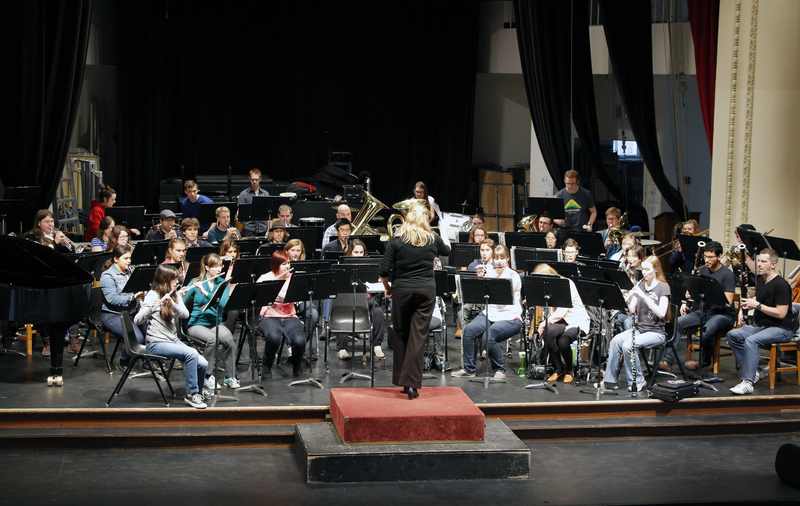 In addition, the ensemble hosts the University of Alberta High School Honour Band each spring, inviting students from across the province to come to campus to work and perform with members of the Symphonic Wind Ensemble as well as our applied instrumental faculty. Alumni of SWE have gone on to positions with major orchestras, military bands – even the world-famous Canadian Brass! A native of Alberta, Dr. Angela Schroeder is currently Associate Professor of Music in the Department of Music at the University of Alberta. She is the Director of Bands, the Area Coordinator for the Winds and Percussion, oversees all areas of instrumental ensembles, and conducts the Symphonic Wind Ensemble and Summer Band. She teaches undergraduate courses in conducting and wind band education, and works with graduate students in instrumental conducting. She previously taught conducting at the University of North Texas in Denton, Texas. Angela is also the conductor of the St. Albert Community Band, an ensemble that is currently in their 46th concert season. This ensemble recently completed their first overseas tour, performing throughout Austria and Germany. 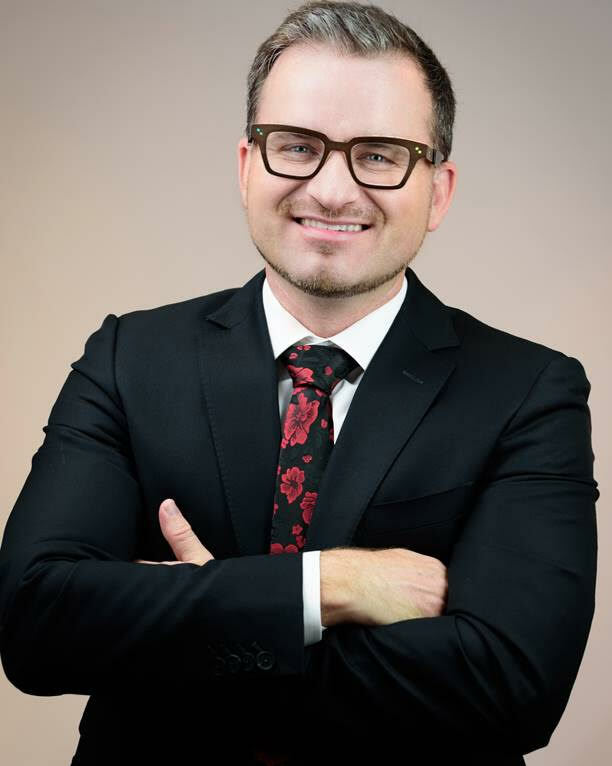 Dr. Schroeder completed undergraduate degrees in Music and Education at the University of Calgary, majoring in Secondary Music Education, with performance studies in piano and trumpet. She also completed the Diploma of Fine Arts in Wind Band Conducting under the supervision of Glenn Price. After a teaching career at various secondary schools in the Calgary area, she entered the Long Term Residency program at The Banff Centre, where she studied and performed on piano, trumpet and as a conductor. Angela entered the Master's program in Wind Conducting at Northwestern University in 2002, where she studied with Mallory Thompson and earned the Master of Music in Conducting. In 2007, she completed the degree Doctor of Musical Arts in Wind Band Conducting at the University of North Texas, under the supervision of Eugene Corporon. 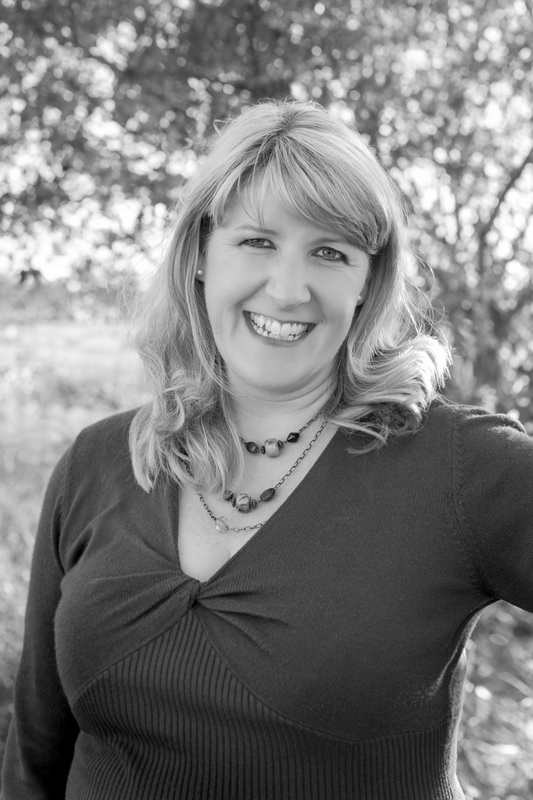 Angela Schroeder is well known in the Alberta music education community, not only through her teaching and conducting both in schools and in community music organizations, but through her involvement as an executive director of the Alberta Band Association for several years. Angela has performed on cornet with the Mill Creek Colliery Band and was the Principal Trumpet for the Concordia University Orchestra for seven seasons. Angela has guest conducted and adjudicated numerous wind bands in festivals and clinics throughout Canada, the United States, Austria, Germany, Australia and Thailand. She is a contributor in nine volumes of the Teaching Music through Performance in Band series, which profile wind literature for all levels of instrumental instruction, published by GIA. She is joyfully married to husband Geoffrey and mother to her brilliant sons, Joshua and Jonah. The University of Manitoba Desautels Faculty of Music is home to approximately 250 undergraduate and graduate music students. 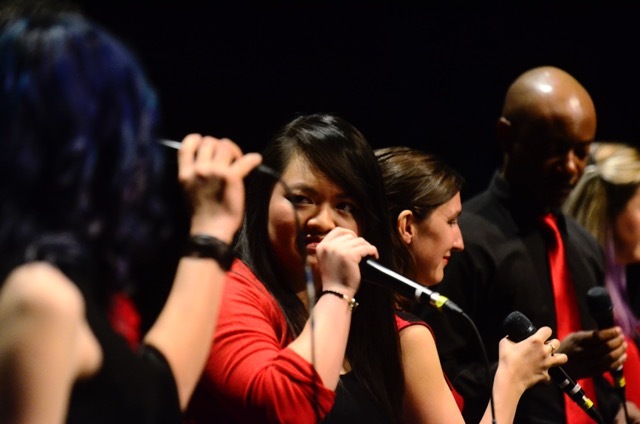 Both local and international students have chosen the Desautels Faculty of Music for its rich tradition of excellence in academia and performance. The U of M Wind Ensemble is one of several large performing ensembles in the faculty. It is an auditioned group primarily made up of music majors who represent a variety of program areas such as performance, music education, composition, music history and music theory. Now in its fifth decade, the wind ensemble continues to program and perform first-class repertoire and seeks opportunities to premiere newer works. The U of M Wind Ensemble has performed throughout Manitoba, Western Canada and the upper mid-Western United States. It has been invited as a feature ensemble at the Rocky Mountain Music Festival, the Canadian Cantando Festivals in Edmonton and Sun Peaks, BC., has been recorded for broadcast by CBC Radio and participated numerous times in the Winnipeg Symphony Orchestra New Music Festival. 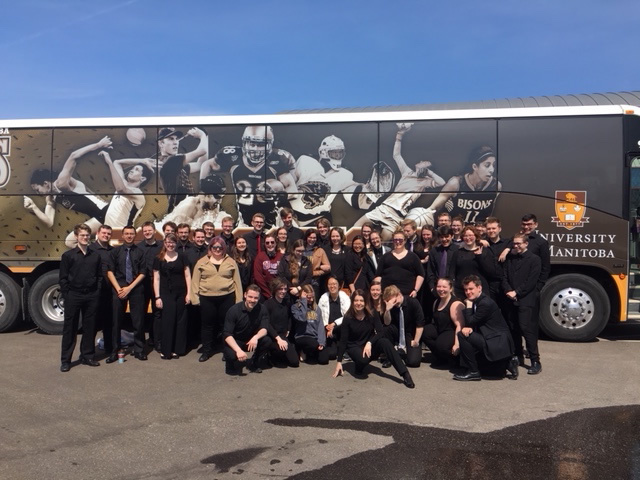 The University of Manitoba Wind Ensemble has participated in several consortium commissions an premier performances, most recently the Canadian premiere of Paul Dooley’s Masks and Machines and Steven Danyew’s Into the Silent Land. The group is very honored an excited to be performing at the 2019 Cantando Festival. Noted for her unique ability to create an inspiring ensemble experience and sculpt an impressive wind band sound, Jacquie Dawson has had a marked impact on the wind band community in Manitoba for two decades. She is in demand as a guest conductor, clinician and adjudicator across Canada. Guest conducting engagements have included the Winnipeg Symphony Orchestra, Rising Stars Manitoba Senior Honour Band, the Manitoba Intermediate Honour Band, the Manitoba Junior Honour Band, the International Music Camp, and numerous regional and divisional honour bands. Jacquie has been published in the Canadian Music Educator Journal and the Canadian Winds Journal. She has presented at conferences in Newfoundland and Manitoba as well as the Canadian Music Educators’ Association National Conference. Her research interests are in community music and the relationship between music education and the cultivation of community. 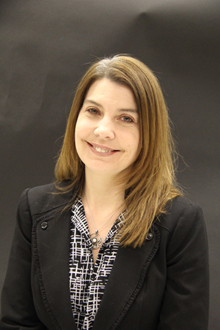 Jacquie served on the board of directors of the Manitoba Band Association from 1999 – 2005 and remains very active with various MBA projects and programs. She is in her eighth season as Artistic Director of The Winnipeg Wind Ensemble. Under Jacquie’s leadership the group has expanded significantly in infrastructure, artistic standard and programming, and has recently launched a new division of the organization, The Winnipeg Youth Wind Ensemble. For over 30 years, the MacEwan University Percussion Ensemble directed by Brian Thurgood has become an institution for MacEwan’s drum set students. The ensemble features students who usually focus on playing drum kits, not the types of percussion instruments that audiences can expect to see at the concert. 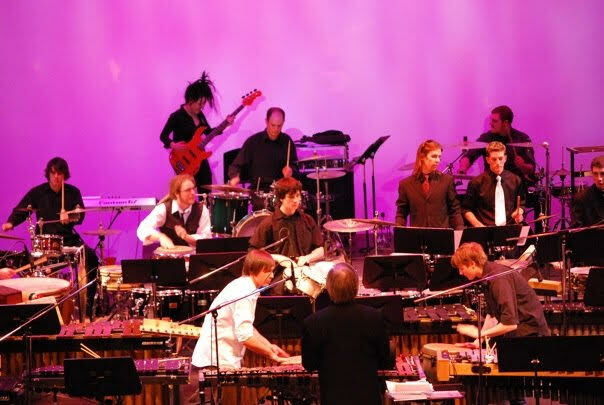 The ensemble provides the students a valuable opportunity to explore the wide variety of techniques and timbres of percussion instruments from around the world. The repertoire is very eclectic and audiences can expect to see and hear over 30 performers and over 50 pieces of equipment on stage. 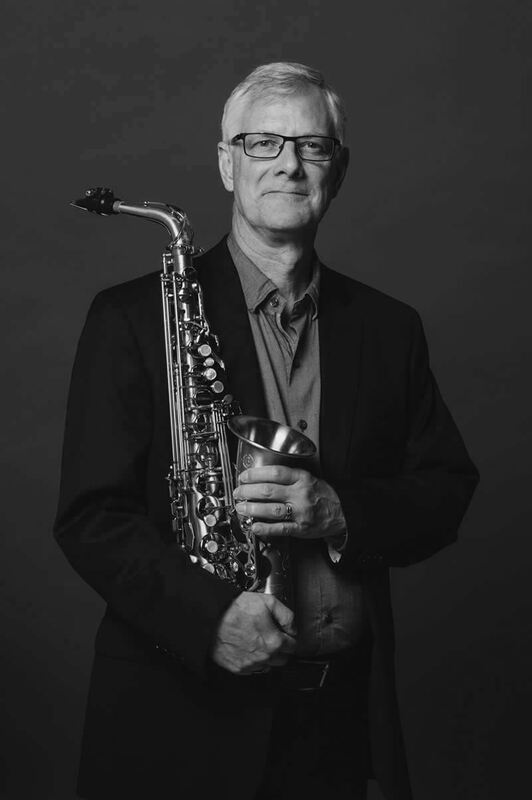 Gilliland holds a diploma in Jazz Studies (trumpet) from Humber College, a Bachelor of Music degree in performance and a Master of Music degree in composition from the University of Alberta and a PhD in Composition from the University of Edinburgh. He has taught at the University of Alberta, the University of Edinburgh, Red Deer College and MacEwan University in Edmonton, Alberta , Canada where he is currently the Dean of Fine Arts and Communication. Founded in 1996, Kokopelli from Edmonton, Alberta will celebrate its twenty-third season in 2018-2019. The Choir is conducted by Scott Leithead. Kokopelli has been a featured ensemble at many events, provincially, nationally, and internationally. These include the Rocky Mountain National Music Festival, the Cantando Festival, Podium (the biannual conference of the Association of Canadian Choral Communities), the regional conference of the American Choral Directors Association (ACDA), the International Society of Music Educators conference, and others. In addition to many North American cities, the choir has toured to Norway, Denmark, Sweden, Germany, Malaysia, Namibia, South Africa, Botswana, Swaziland, and Zambia. Kokopelli is often the ambassador for the choir association and, as such, has received several awards for its work with youth, music education, and the African Projects Fund. 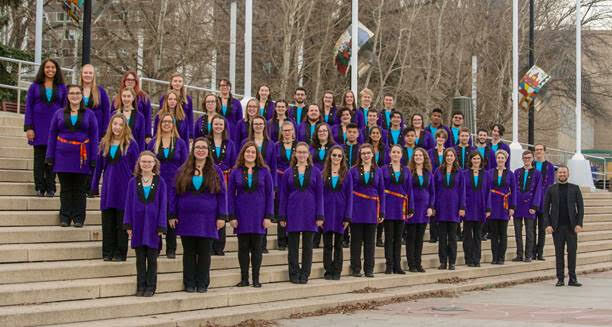 In 2015, the choir was featured at the Canadian Music Educators National Conference in Winnipeg. In the summer of 2017, the choir undertook a tour to Italy and Switzerland to participate in a festival on the Lake Garda, among other adventures. In the summer of 2018 they returned to Africa on their 4th tour to this amazing part of the world. The upcoming season the choir is excited to be singing several productions with the Edmonton Symphony Orchestra. They also have tours planned to Saskatchewan in February and to the Rocky Mountain Festival in Banff in April. In addition, they plan to tour to the BC Gulf Islands with the Vancouver Youth Choir in July 2019.